Rifles are great weapons for hunting or when you’re performing any kind of long range shooting activity. 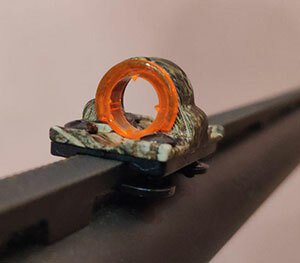 But if you want to increase your chances of hitting a target, then you should definitely invest in a sight scope accessory as an add-on for your rifle. A sight scope is generally installed on the top of your rifle and it allows you to see far away targets at a closer range. These scopes generally include a crosshair as well so you can easily align your target in the middle of the crosshair and then shoot the target with an almost guaranteed chance of hitting it successfully. 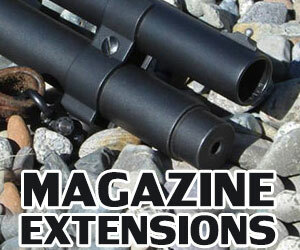 If you are a sniper or long distance shooter of any kind, you will certainly want to invest in a sight scope. 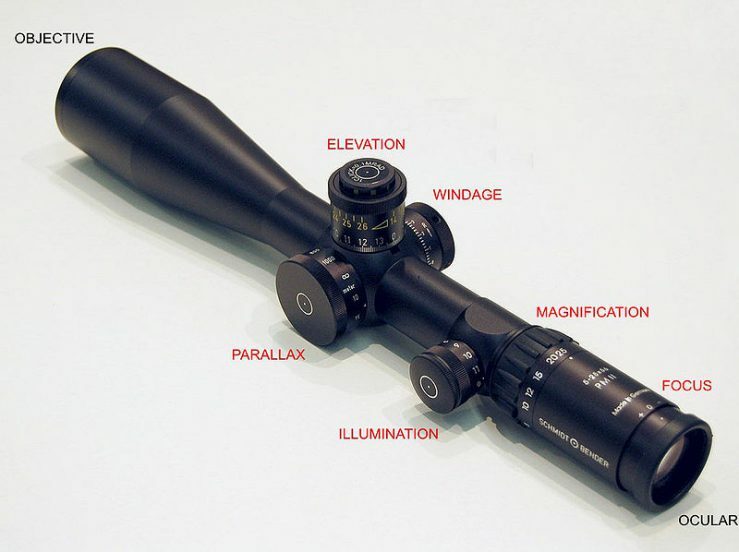 However, not all sight scopes are the same because they have different features to them. The thermal sight scope, for example, is a particularly handy scope for allowing you to see targets in dark or nighttime environments. Most people would use tactical flashlights to see their prey at nighttime but the problem with that is their prey will notice the light and then run away. 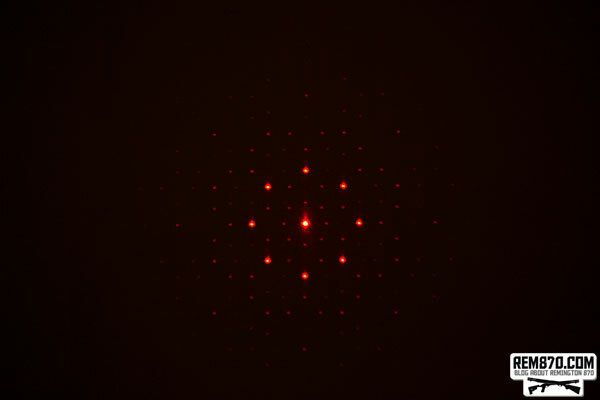 A thermal sight scope, on the other hand, does not emit any kind of light towards the direction of the prey. Instead, it gives the shooter a thermal signature of all the warm-blooded living organisms in front of them. 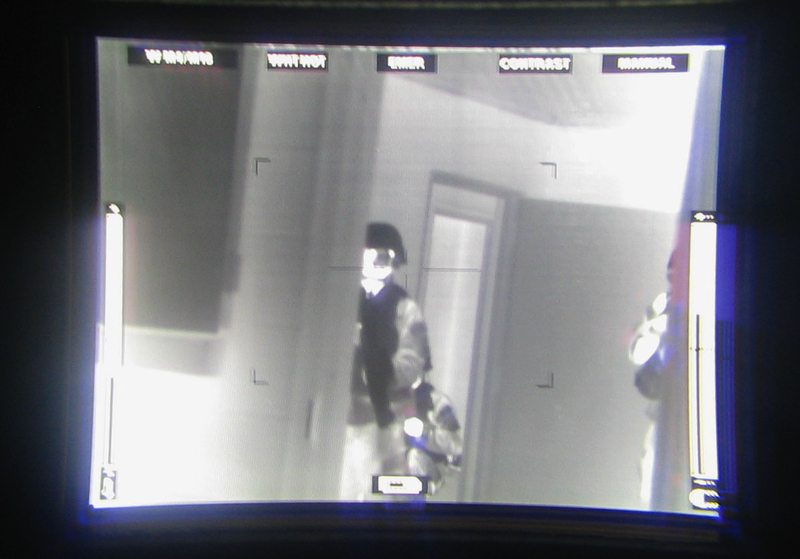 Their heat signatures will appear on a gradient map that is displayed on the shooter’s screen. If you’ve ever seen the 1987 movie “Predator” starring Arnold Schwarzenegger, then you probably remember the scenes which show the Predator seeing people’s heat signatures. That’s basically the same kind of imagery you’ll have with a thermal sight scope. The only downside to thermal sight scopes would probably be their prices. You should expect to pay at least a few thousand dollars for a decent sight scope that does what it is supposed to do. 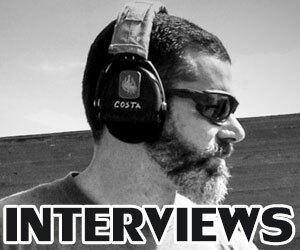 But if you are a die-hard shooter that truly wants to have the best accuracy possible in all types of environments with their rifle, then an investment into a thermal sight scope won’t seem like such a big deal. 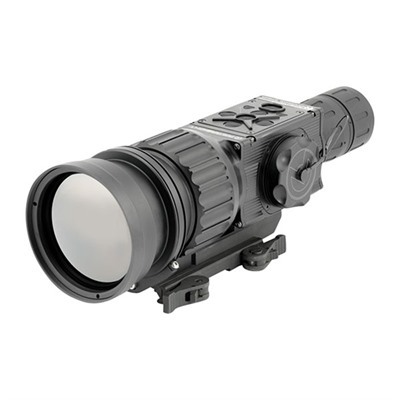 The three most recommended thermal sight scopes are the Armasight Apollo-Pro LR 640 100MM Clip-On, ATN Thor HD 384 1.25-5X Thermal Rifle Scope, and the FLIR Systems RS64 1.1-9X Thermal Night Vision Riflescope. They are sold at reputable online stores like Brownells.com and Amazon.com. When spending thousands of dollars on any gun accessory, you’ll want to purchase from reputable sporting goods dealers like these. The Armasight Apollo-Pro LR 640 100MM Clip-On is a thermal scope for your rifle that can be used in both daytime and nighttime environments. The reason it works in both environments is because it tracks the heat signatures of your living targets no matter how bright or how dark it is in your environment. This type of thermal scope would be perfect for a professional hunter or law enforcement sniper who needs to depend on having good visual capabilities in their rifle scope. That way, they can serve their intended purpose by not missing their target. The Apollo Pro is designed to meet the 20/50 gold standard of the Armasight company. This is a standard for the scope’s ability to withstand being immersed and enduring the shock and recoil of a rifle after it’s been fired. The Apollo Pro has been tested and proven to endure 20 meters of immersion for a period of two hours. Not only that, the scope can withstand the recoil and shock power of a 0.50 BMG firearm. Chances are you won’t be using a rifle quite this powerful with your scope so you can feel confident that it will be just fine. The Apollo Pro was designed with common core electronics, a large eyepiece, and signal processing that provides complete accuracy with the thermal imaging technology that it is equipped with. There are two versions of the scope you can choose from; commercial and military. The two scopes are pretty much the same except that one has 30 Hz and the other has 60 Hz. The Apollo Pro can be mounted right on the top of your rifle in front of the magnification day sight without having to remove it. Since it uses thermal imaging, the magnification will only pertain to the heat signatures and not the lighting in your environment. That’s why you don’t have to change scopes in order to accommodate what time of day it is. Best of all, the scope comes with Bluetooth wireless technology so that it can directly be engaged on smartphones that are close to it. The price of an Apollo Pro LR 640 100MM at 30Hz is $8,995.00. If you want the 60Hz version, the price is $1,000 more at $9,995.00. At these kinds prices, you can understand why they’re meant for commercial or military use. These are not meant for someone who occasionally uses their rifle for recreational purposes. To get the most for your money, you need to use the scope every day as a professional hunter or soldier who endures frequent combat situations. The ATN Thor HD 384 1.25-5X Thermal Rifle Scope is known for being one of the most advanced innovations in rifle scope technology to ever exist on the market. Not only does it have more features and power than most other rifle scopes, but it is one of the cheapest scopes you can find as well. On Brownells.com, the price of this scope is only $1,999.00. This might seem like a lot but when you compare it to the $9,000 rifle scopes offered by their competitors, the ATN Thor will seem like the best investment you can make for a quality thermal rifle scope. The resolution on the display screen of the ATN Thor is 384×268. You can also magnify the display picture up to 5 times its original size. 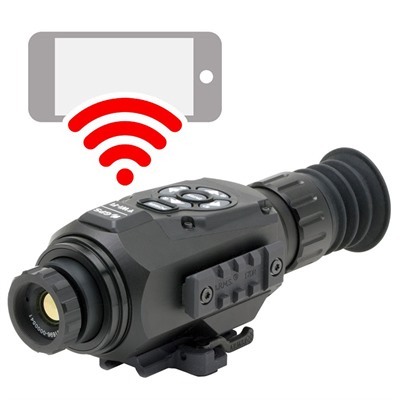 Since this thermal sight scope is equipped with Wi-Fi streaming technology, you can actually get the real-time display sent wirelessly to your smartphone or tablet. This is perfect if you want to set up a camp location and don’t want to have to look through the eyepiece the entire time. Instead, you can just keep an eye on your smartphone’s display and when you see your target come into the picture, you can quickly go to your scope and take care of business with your rifle. 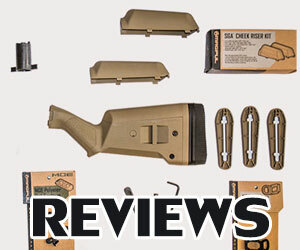 In addition, the ATN Thor contains features that will help you become a better shooter. For example, you can record photos and videos of your shooting and then save them to a MicroSD card. 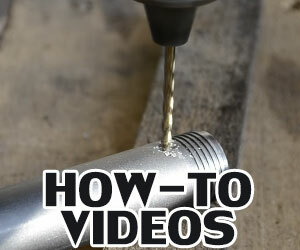 Then when you perform an impressive shot, you can have it saved on video for your family and friends to see. Heck, you could even put it on YouTube and let the world see it as well. Best of all, the ATN Thor’s Smart Range Finder is a special feature which will immediately range in when your target is present and will then use a ballistic calculator to automatically adjust the POI of your rifle so that you increase your chances of hitting it. Some more features of the ATN Thor include a high-definition display, an electronic compass, geotagging, Bluetooth, 3D Gyroscope Range Finder, recoil activated video, and the ability to use the scope day or night no matter what the lighting situation is in your environment. At a price like $1,999.00, you won’t find a better deal for a thermal sight scope anywhere else. However, you have to be in the United States in order to purchase the scope through the Brownells.com website. They have a restriction on foreign shipping and foreign sales of firearm products like this. The FLIR Systems RS64 1.1-9X Thermal Night Vision Riflescope is a high-grade thermal scope for rifles and can be used both day or night. The scope is all black and provides users with a 640×480 resolution display which is a lot bigger than what most other scopes provide on their display screens. More importantly, you can see a crisp clear display no matter how much light is in your environment. In fact, you could literally be in a pitch-black environment and still be able to see any living organisms in your immediate area without any problems. The body warmth and heat signatures of these living things are picked up by the thermal sight scope and then shown on your display screen in real-time. You don’t have to worry about the weather conditions of your environment. The FLIR Systems RS64 can be submerged in up to three feet of water and still function just fine. So, if you frequently go shooting in environments that are cold, hot, rainy, windy, or snowy, you don’t have to worry about this riflescope breaking because it is made to be durable enough to withstand all of these conditions. The display of your scope should be able to maintain clear visibility and not fog up under these conditions either. 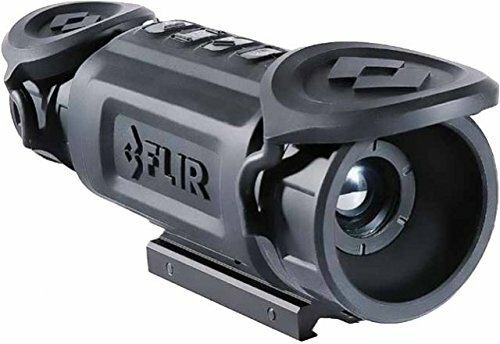 The FLIR Systems RS64 1.1-9X Thermal Night Vision Riflescope is priced at $5,499.00 on Amazon.com. This is a tad pricier than other riflescopes on the market but it certainly isn’t the most expensive one either. However, the good news is there are used FLIR Systems thermal rifle scopes available on Amazon as well. 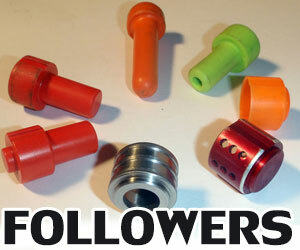 Just click on the “Used & New” link on the product listing page. You’ll see the cheapest priced riflescope right now is $493.00 with an additional shipping price of $7.72. This would make it roughly $5,000 cheaper than buying the riflescope new. On the other hand, if you prefer to purchase a new riflescope then you should consider using the payment plan option which is available. After all, the companies selling this riflescope on Amazon are realistic and do not expect a customer to just fork over $5,499 in cash to purchase it. So, if you don’t mind setting yourself up with a payment plan in order to purchase a quality thermal scope, then you should definitely consider going with this FLIR Systems RS64 scope. Payments can be automatically charged to the credit card or bank account that you have registered with Amazon.